Yellow Brick Road is a classic pattern from Atkinson Designs. 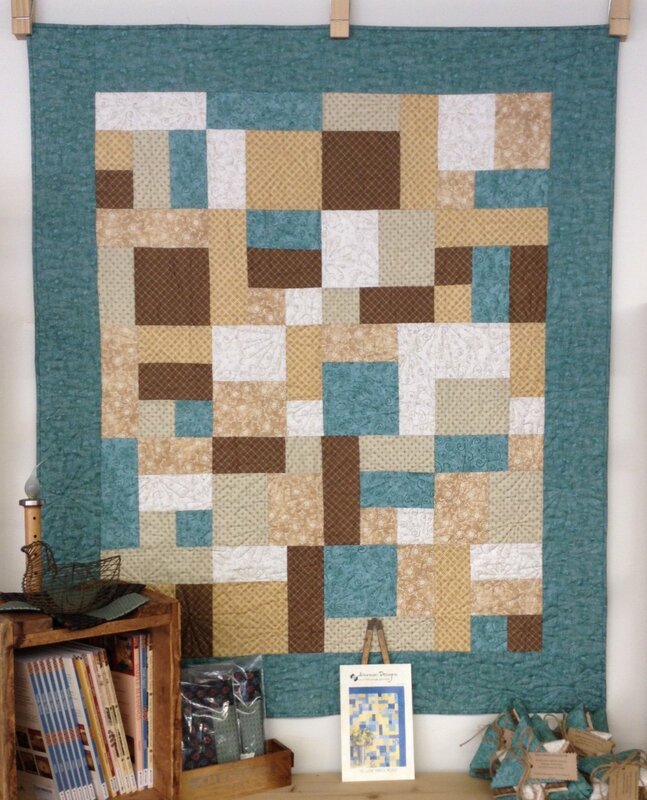 We've combined an assortment of 6 fat quarters in Teal, Creams, Tans and Browns for this super simple quilt that is rotary cut and strip pieced. A great project for beginners! Kit includes all the fabric for the top including the borders and the binding. Does not include the pattern Yellow Brick Road by Terry Atkinson. Quilt finishes at 48" x 57"
The Yellow Brick Road pattern includes options for sizes from Baby to King. You can easily add from your stash to make this quilt bigger.